You can tell it’s summertime in Japan, because your clothes stick to you the instant you walk outdoors and the entire populace flees to the rooftop beer gardens of Tokyo as soon as the sun dips below the yardarm. But if your liver is crying out for mercy after last night’s company drink-a-thon, and you’re queasily contemplating how to avoid pickling it any further, chances are you’re giving some thought to ordering a nice, cold, no-alcohol brew instead. The question is: do they taste as authentic as they look? I admit I was kind of excited to do a side-by-side tasting of the latest offerings here in Japan, because all the major brewers have jumped in with both geta. 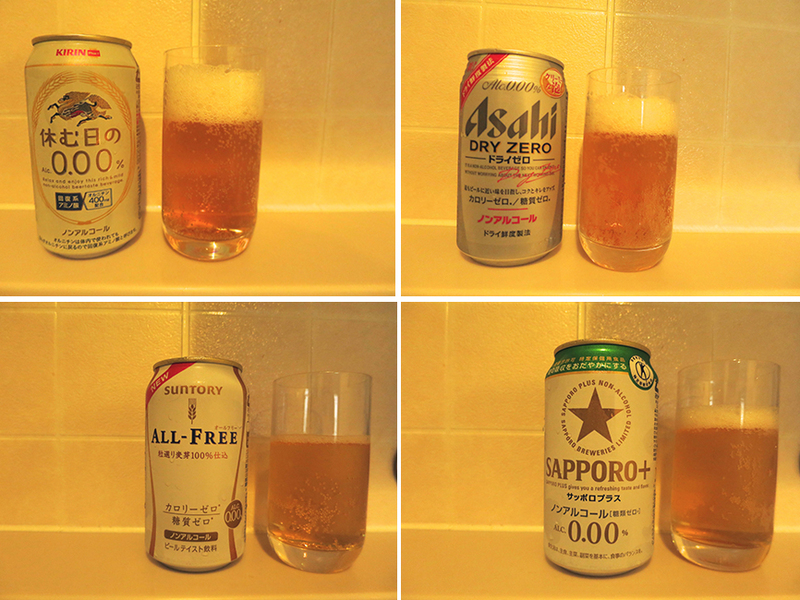 I figured if anybody was going to get it right, it would be the good folks at Asahi, Kirin, Sapporo and Suntory. Ai yi yi, I have never been so sorry to be so wrong! I must report that even though I was truly hoping to find at least one that would allow me to delude myself I was quaffing the real thing, each and every one of these was as repulsive as tomato-flavored chocolate and deep-fried fish testicles (my previous yardsticks of inedible lowness). This was actually the least objectionable of the bunch. It tasted pretty strongly of yeast and slightly of honey, with a pronounced yeasty aftertaste. It wasn’t actually revolting, and it looked pretty much like normal beer, with a foamy head that didn’t disappear instantly. If you were thinking of it as a sort of not-sweet soda instead of hoping for it to be beer, it wouldn’t be that bad. “Zero” perfectly describes this entry in the faux-beer sweepstakes: zero alcohol, zero calories and zero taste. It’s not often that words fail me, but I honestly worked quite hard to try to come up with a description of how this tastes, and came up empty-handed. 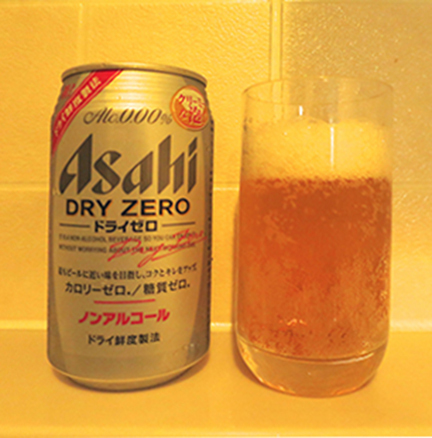 Of course – on the plus side – it’s lack of flavor keeps you from wanting to instantly spit it out, so if you’re at a bar and busy holding up your end of a conversation in Japanese about the meaning of the universe, you may not notice that it’s not holding up its end, beer-wise. 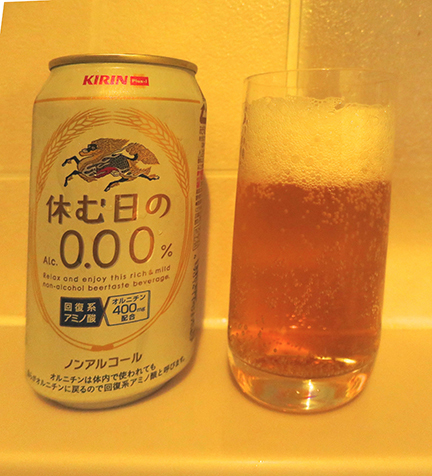 Yikes, Suntory All-Free was not only free of beer-like taste, it was also free of that distinctive foamy head that makes you feel like you’re putting away a real one. The unpleasantly sweet (and not at all beer-like) flavor was followed by a soapy aftertaste that made me decide quite quickly that a second sip wasn’t necessary in order to adequately describe this sad offering. This one gets a special triple-A rating: avoid, avoid, avoid. 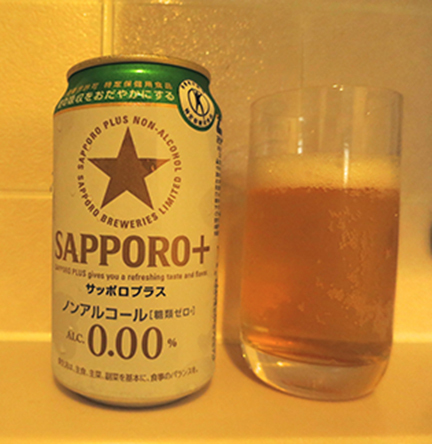 I didn’t think it was possible to make something that failed harder than the Suntory fake beer, but Sapporo Plus’s perfume-y flavor and bitter floral aftertaste earned it my Worst Not-Beer title by a decisive margin. The only thing that might make you choose it over the other bottom-dweller is that the foamy head might fool your fellow drinkers into thinking you’re matching them shot for shot. Sapporo, seriously, what were you thinking? I am disappoint.